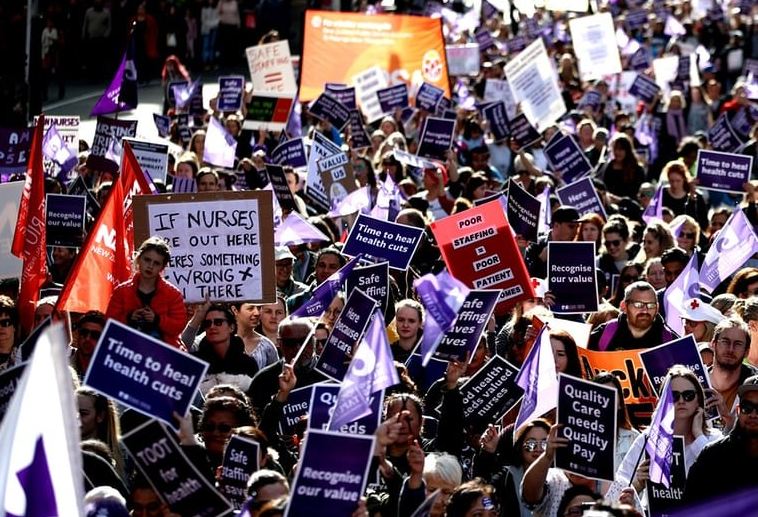 After months of negotiations broke down and the sector refused a two year offered pay increase of 12.5% by the government, some 30,000 nurses in New Zealand went on a 24-hour nationwide strike, the first in the country for 30 years. Acting prime minister Mr Winston Peters (Prime Minister Ms Jacinda Ardern is at home after the birth of her first child) explained that the New Zealand government was “very, very disappointed” as their increase offer was rejected. According to them, the nine years of neglect for the healthcare sector salaries to be adapted is due to the previous National government. According to the nurses participating in the strikes, most of them claim to be overworked and underpaid and are encountering unsafe working conditions. Next month, on 15 August to be exact, school teachers will also hold a nationwide strike in what is seen more and more as a serious first test for PM Ardern’s government. Wow! I hope China takes New Zealand first when they choose to expand. That will help nurses. I wonder what they get paid in Russia or China….must be a lucrative operation in any socialized nation which I'm sure the unions want.